With more than 260 new parts, the brand DT Spare Parts extends its product range suitable for Mercedes-Benz SK-/MK-/NG-Series. The new product catalogue contains a total of about 2 800 own spare parts which replace about 7 300 reference numbers. Thus, DT Spare Parts offers an even more comprehensive product range for trucks – of course including the 24-month guarantee from DT Spare Parts. The continuous development of the spare parts range offers customers of the brand DT Spare Parts a constantly growing choice of products and future-oriented solutions from a single source. In addition to the spare parts program suitable for Mercedes-Benz SK-/MK-/NG-Series, there are three further programs in the truck division with DT Spare Parts products suitable for the brand Mercedes-Benz. 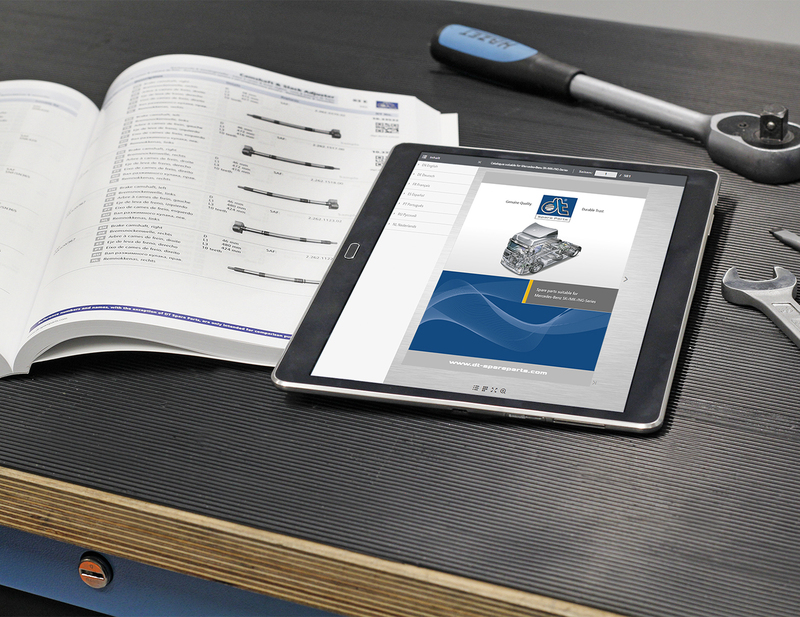 Distribution partners and their workshop customers can access the new product catalogue suitable for Mercedes-Benz SK-/MK-/NG-Series as well as all other DT Spare Parts catalogues as digital versions at http://dcat.dt-spareparts.com. A printed version of the new catalogue is available from local distribution partners and can be ordered at http://cat.dt-spareparts.com. Detailed information on all products can also be accessed online anytime and anywhere via product search on the Partner Portal.